We are next to Phayathai BTS station. Take Exit 1. 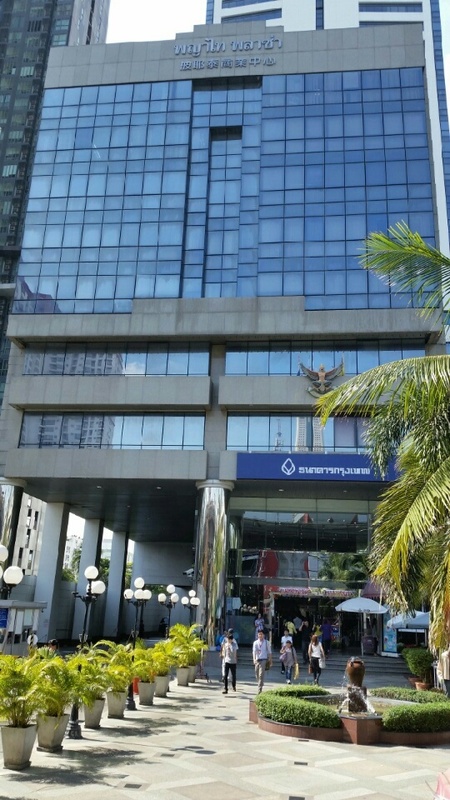 Enter the Phayathai Plaza Building, take the elevator to the 31st floor. Our offices are on the right. Head to Phayathai Intersection, go over the Bridge and turn into Praram 6 Road. Next turn left onto Petchaburi Road and left again into Phayathai Road. Phayathai Plaza Building is next to Phayathai BTS Station. From Phayathai Road, head straight and make a u-turn under Hua Chang Bridge. Look ahead for Phayathai BTS Station. Phayathai Plaza Building is next to Phayathai BTS Station. Head towards Victory Monument, go over Hua Change Bridge and look for Phayathai BTS Station. 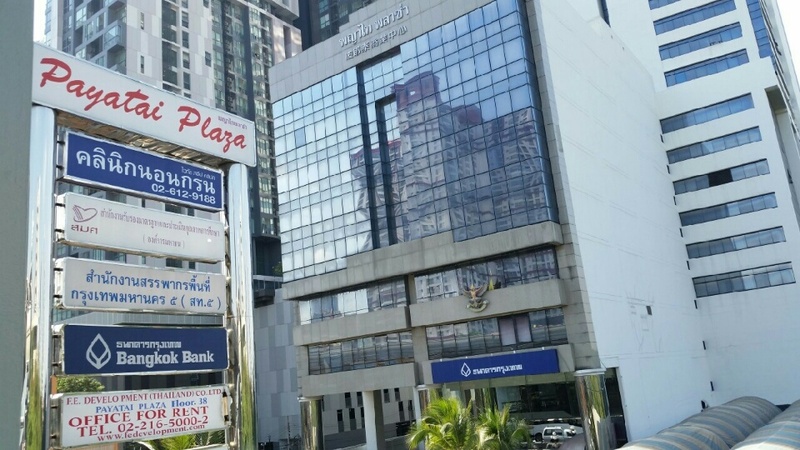 Phayathai Plaza Building is next to Phayathai BTS Station. 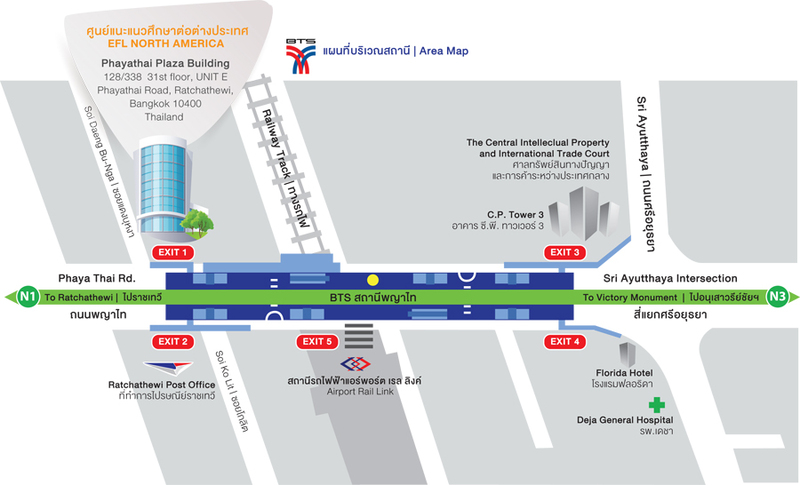 Parking is free at Phayathai Plaza Building with an Education For Life North America stamp. Another option is to park at Paragon or Central World and take the BTS to Phayathai Plaza.